OAKLAND, Calif. -- Starting next week, BART rush hour commuters will be having an easier, less crowded ride. Improvements to BART service which take effect next Monday include increased service during rush hour on heavily used lines, additional cars on trains during commute hours, and more service to and from the Oakland International Airport, according to BART spokesman Taylor Huckaby. "This will be our biggest change since 2003," Huckaby said. "We know it's crowded. We're hoping to provide some relief before the new trains arrive." The most significant change is the increased service on the San Francisco-bound line from Pittsburg/Bay Point, which will start operating "end-to-end" using 10-car trains, the maximum length for BART trains. "That line is by far the most crowded route," Huckaby said. "Downtown and uptown Oakland are burgeoning areas. Lots of people are surging onto that line during commute hours." In addition, direct service from Richmond to Millbrae will be extended until 9 p.m. on weekdays. Trains will also be longer to accommodate more people, according to BART officials. 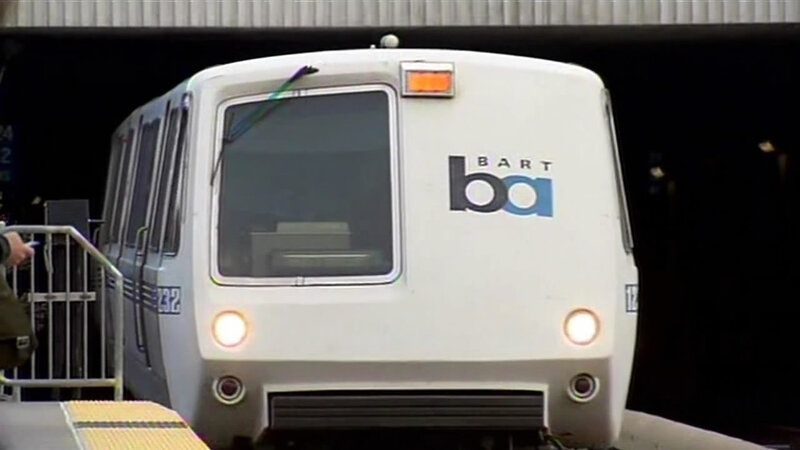 In fact, riders will no longer see three-car BART trains, as they will now all be lengthened to at least four cars. The BART to Oakland International Airport "show-up-and-go" service will now run regularly every six minutes all day until 11 p.m., when it will run every 20 minutes. Up until this change, "show-up-and-go" service has been "inconsistent," Huckaby said. BART will also be introducing a "Pleasant Hill/Limited" line to the Pittsburg/Bay Point line that skips the Rockridge, Orinda, and Lafayette stations. According to BART officials, this line is being introduced to accommodate the higher frequency of trains during commute time on the Pittsburg/Bay Point line. The only foreseen drawback, according to Huckaby, will be that those riding to San Francisco from Concord will have to wait five minutes longer as trains will no longer be turning around to head to San Francisco at that station as before, but now will turn around at Pleasant Hill. According to Huckaby, BART is ramping up services before it introduces its new Fleet of the Future train cars, which will start to be phased in starting in the fall of 2016. These cars will be updated, cleaner, brighter, quieter, and have a larger capacity for carrying riders, Huckaby said. "We're squeezing out every last inch of usability out of the current cars by changing around our current schedule until the new ones arrive," Huckaby said. "We're hoping to make this transition as painless as possible."